When he campaigned as the Democratic candidate for the presidency on an anti-war platform in 1972, Sen. George McGovern of South Dakota would not allow his staff to publicize his wartime heroism. McGovern flew 35 combat missions as pilot of a B-24 Liberator in Italy during World War II, and received numerous combat awards. The B-24 was built “like a Mack truck,” author Stephen Ambrose wrote in “The Wild Blue” (New York: Simon & Schuster, 2001). The book was thinly disguised as a general history of wartime Liberator crews because Ambrose’s publisher knew that retail purchasers of military books often are conservative and might not buy if they knew the topic was a public figure branded as liberal, so the book was labeled, packaged and promoted as something else but was, in fact, about McGovern and the men with whom he flew and fought. “It was there, growing up in the dust and the suffering of the Great Depression, that this son of a Methodist minister was grounded in the knowledge that there are many things bigger than you in this great big world, but that knowledge is never an excuse for not trying to make that world better,” wrote Raasch. McGovern flew his first combat mission in the right-hand, co-pilot’s seat of a lumbering B-24, an aircraft he always said was demanding and difficult to fly. McGovern was born July 19, 1922 in Avon, S.D. The family moved to Mitchell, in the southeast of the state, when McGovern was six. He attended Dakota Wesleyan University, joined the Army just after Pearl Harbor, and married Eleanor Stageberg before completing his flight training as an Army Air Forces pilot. He was assigned to the 741st Bombardment Squadron, 455th Bombardment Group, part of the Fifteenth Air Force at San Giovanni airfield near Cerignola in the Apulia region of Italy. 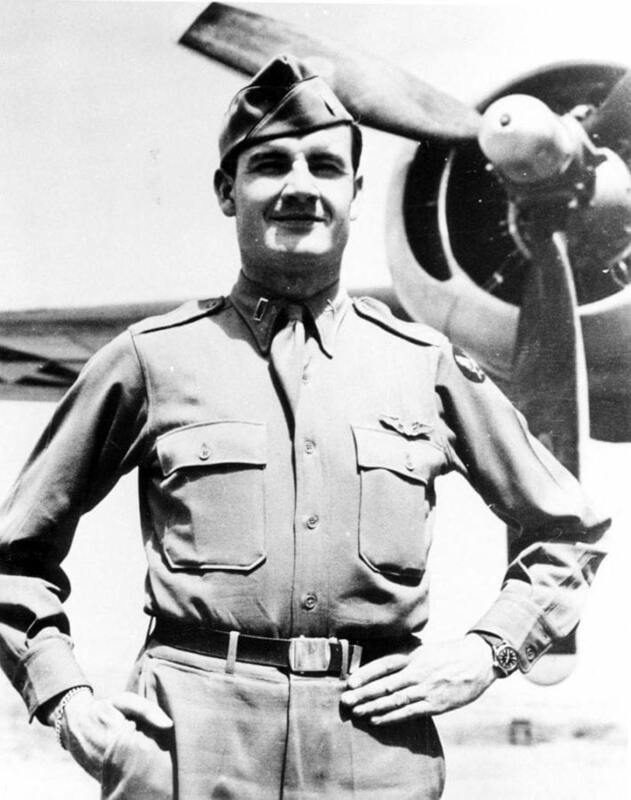 On what was then called Armistice Day, Nov. 11, 1944, McGovern flew his first combat mission in the right-hand, co-pilot’s seat of a lumbering B-24, an aircraft he always said was demanding and difficult to fly. After five such sorties, he moved to the left seat and commanded his own crew aboard a Liberator dubbed Dakota Queen in honor of his wife Eleanor. McGovern and his crew took their B-24 on long-range bombing missions against German oil refineries and other strategic targets. McGovern and his bomber crew encountered a multitude of dangers. On one mission, a bomb became stuck in the bay of the B-24; McGovern’s bombardier went back and kicked it loose from its shackle. On another mission, a piece of shrapnel from flak ripped through the windshield and missed striking McGovern in the face by only a few inches. It would surely have killed him. On Dec. 16, 1944, en route to bomb Brüx in Czechoslovakia, McGovern nearly collided with another bomber during close-formation flying in complete cloud cover. This was a danger wartime crewmembers feared more than flak or fighters: at least in the pilot’s seat, McGovern had some control over the destiny of his ten-man crew. Except for the co-pilot, none of the others did, and fear of collision was pervasive throughout the war. 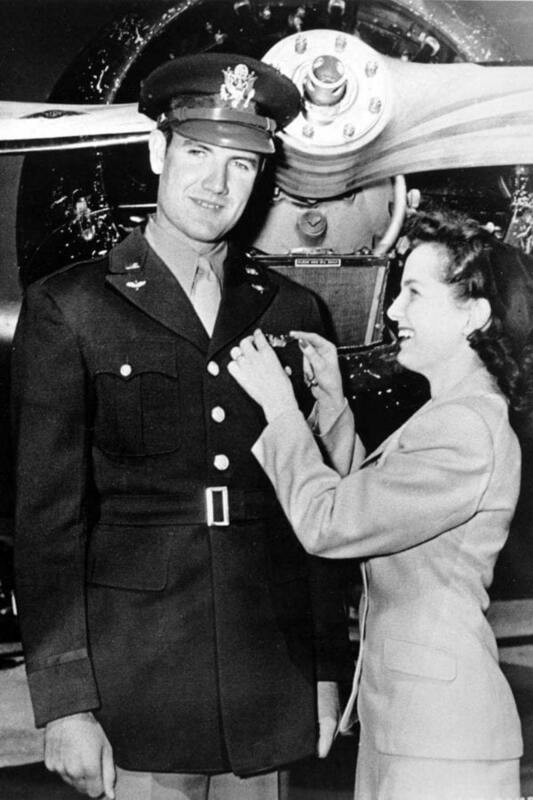 The following day, McGovern was recommended for an award after surviving a blown tire on take-off, completing a mission over Germany, and landing safely. On Dec. 20, 1944, when the target was the Škoda tank-manufacturing industrial complex at Pilsen, Czechoslovakia and McGovern was on his 30th mission, flak struck his Liberator, knocked out one engine and set another afire. McGovern diverted to the British airstrip on a small island in the Adriatic Sea off the Yugoslav coast. It was a crash-landing situation and the crew took emergency stations. Others had failed in fatal attempts to land a heavy, four-engined bomber on the short runway, normally used only by small fighters, but McGovern brought down the crippled, smoking B-24 and landed successfully. For saving his crew and aircraft, he was awarded the Distinguished Flying Cross. Others had failed in fatal attempts to land a heavy, four-engined bomber on the short runway, normally used only by small fighters, but McGovern brought down the crippled, smoking B-24 and landed successfully. For saving his crew and aircraft, he was awarded the Distinguished Flying Cross. McGovern is better remembered as a congressman, senator, and presidential contender. While a large number of Americans agreed with this war hero’s opposition to the Vietnam War, not so many cast their ballots for him in his challenge to unseat Richard M. Nixon: Incumbent Nixon won 520 electoral votes to McGovern’s 17 (with one electoral vote going to Libertarian candidate John Hospers). The popular vote was 47 million to 29 million. The difference of 18 million popular votes was the greatest of any U.S. presidential election. Although shattered by the magnitude of his electoral defeat, McGovern never publicly lost the aplomb for which he was famous. He won re-election to the Senate in 1974 but was defeated by a challenger in 1980. A second presidential bid in 1984 had no chance of securing McGovern the Democratic nomination again; he knew it and joked about it on “Saturday Night Live.” He wrote or edited eight books, including one about Abraham Lincoln. McGovern remained active in political life, joining various causes in the battle against hunger around the world. Until publication of Ambrose’s book, few Americans knew of McGovern’s wartime service. He simply never talked about it. Several sources say he cooperated with Ambrose and his researcher-son Hugh Ambrose in the belief the book would be a tribute to all B-24 crews. When it turned out not to be, McGovern decided not to assist in publicizing this highly successful history of his own experience. Great article about a wonderful American. Your article citing his military service makes his bio that much more impressive. I had the honor of meeting Senator McGovern, he spoke at out Unitarian Universalist Fellowship in St Augustine Fl. He stayed on after his talk and met with anyone who wanted to talk. I found him to be a gracious man with a great sense of humor. He spoke with great pride of his and fellow veteran Bob Dole about their program to feed the hungry of the world.